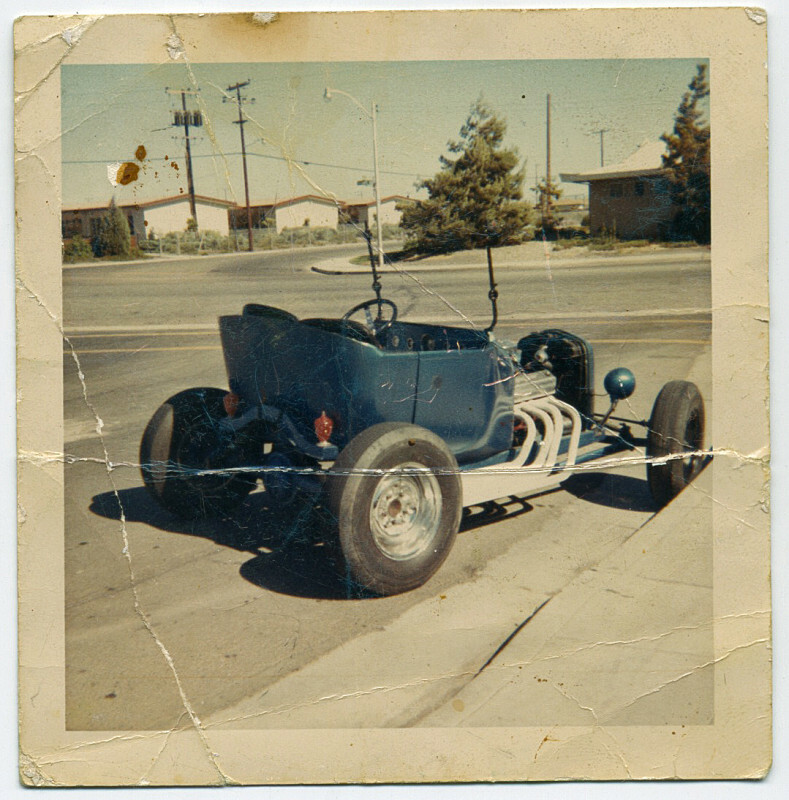 I started working on my first Hot Rod in about 1964. 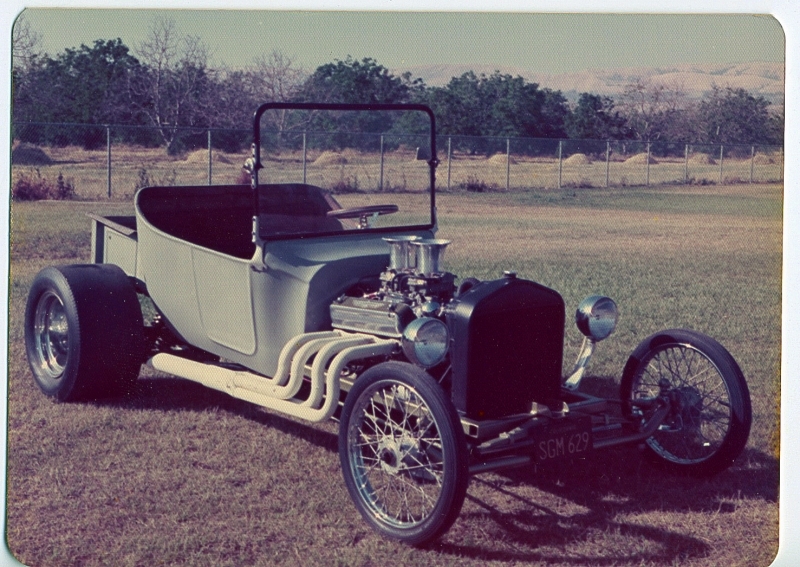 It was a ’17 Dodge bucket, model A frame and a 312 Thunderbird engine. 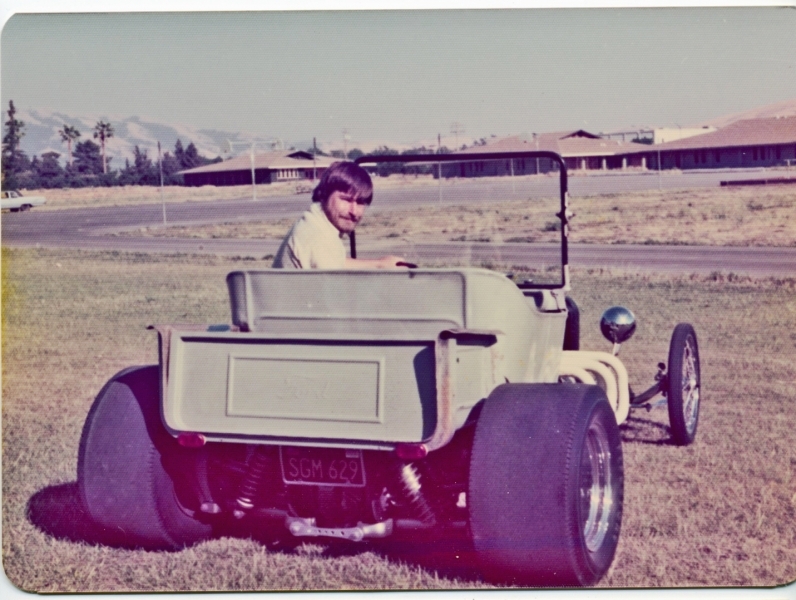 It was someone else’s abandoned project… pretty much a piece of junk, but I got it going and drove it around anyway knowing I could build better. As a young guy, freshly married and a couple toddlers, time and money was limited. 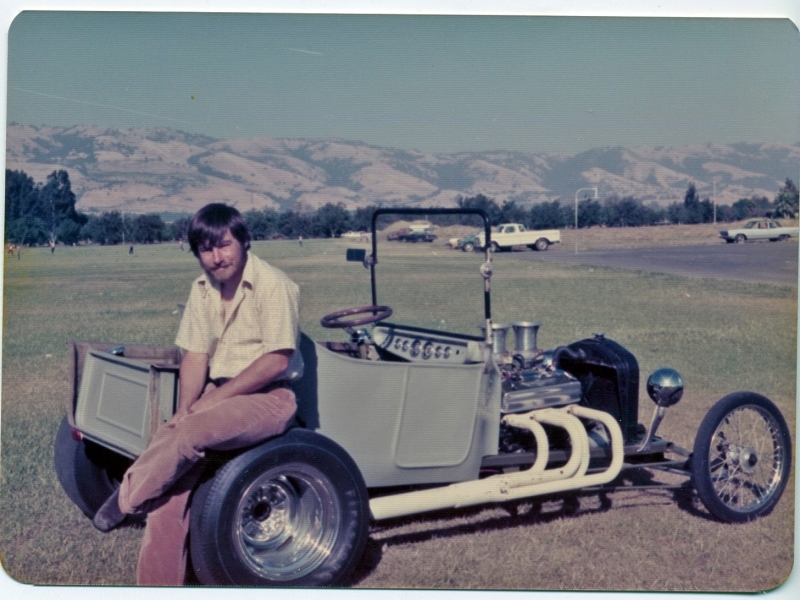 That engine and 4 speed were transitioned, over the next 12 years into a pretty sweet glass body T roadster pickup. Hmm.. I must have a picture here someplace. These pictures just turned up. Photos are circa 1975 or so. This is my second Hot Rod, and made partly from my first. It’s running that 312 Thunderbird with a “Police Interceptor” Intake setup. T-10 4-Speed, and an early Jaguar e-type rear end. Oh to be 30 again..